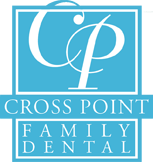 When it comes to root canals, Lowell, MA residents can turn to Crosspoint Family Dental for a procedure that is as stress-free as possible. For an anxious dental patient, nothing sounds worse than the words, “root canals.” Lowell, MA dentists at Crosspoint Family Dental understand this fear. This is why we offer worry-free procedures in a warm and friendly environment. When you are in need of a root canal, we will schedule an appointment that will have you in and out quickly. Our office is located in Lowell, MA, and is open for long hours that are sure to accommodate your schedule. When a cavity goes untreated, the infection eventually spreads to the pulp layer of the tooth. Once this happens, the only way to prevent further decay and infection for the victims is a root canal. Our Lowell, MA dentists, have 60 years of combined experience, and are highly capable of performing successful root canals. When you come in, we will first numb your mouth, or area of infection, and may insert a guard or dental dam to ensure your safety. Then, your dentist will clear out all of the infected tissue. Checking to make sure that the infection is completely removed may require x-rays. Finally, a seal will be applied to protect the tooth from any further infection, and a cap will be placed over the seal. If an infection has reached the pulp layer of your tooth, you can rest assured in our treatment. To schedule at appointment, call our office at (978) 459-6467. We understand the stress and anxiety you might be feeling, but when it comes to root canals, Lowell, MA dentists at our facility help you relax and get the best treatment possible.